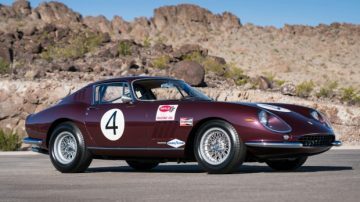 A rare 1953 Ferrari 250 MM and 1960 Ferrari 250 GT SWB Alloy Berlinetta Competizione join the previously announced 1962 Ferrari 250 GTO at RM Sotheby’s Monterey 2018 sale. 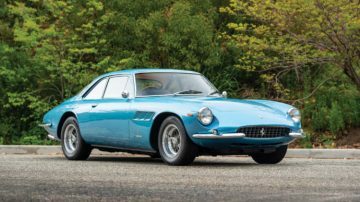 In addition to the previously announced 1962 Ferrari 250 GTO, several further rare multimillion dollar Ferraris will also be on offer at the RM Sotheby’s Monterey 2018 classic car auction. 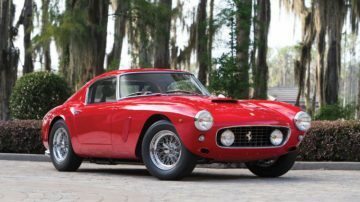 These top Ferraris include a one-of-31 1953 Ferrari 250 MM Berlinetta with extensive period racing history, as well as a beautifully restored, Classiche-certified 1960 Ferrari 250 GT SWB Alloy Berlinetta Competizione. 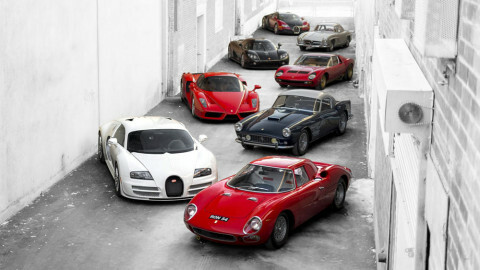 Also for the first time ever, a model from all three Ferrari GTO series will be on offer in the same auction. 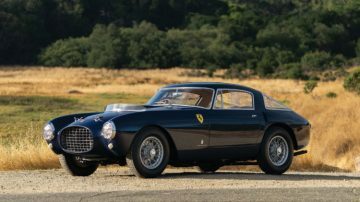 The RM Sotheby’s Monterey 2018 auction include 29 Ferraris of which 12 are expected to achieve above a million dollar. The 1962 Ferrari 250 GTO (estimate $45 to $60 million) is the undoubted star of the RM Sotheby’s Monterey 2018 sale but several further top Ferraris will be on offer in the same classic car auction. The 1960 Ferrari 250 GT SWB Alloy Berlinetta Competizione, chassis no. 2163 GT, estimate $9,500,000 – $12,500,000, is an early example of the first major change to the 250 GT model following the TdF. One of just 42 alloy-bodied competition SWB examples completed in 1960, 2163 GT is notable for its high state of chassis and body originality, having experienced no racing damage throughout its life. Benefiting from recent cosmetic measures and wearing its original color combination of Rosso Chiaro over Nero leather, this is an outstanding example of the celebrated “Short-Wheelbase”. An excellent show or vintage track car, the rare Berlinetta would make an essential acquisition for any Ferrari enthusiast. Ferrari’s Colombo V-12-equipped 250 MM was built to commemorate Giovanni Bracco and Alfonso Rolfo’s famous win at the 1952 Mille Miglia in the marque’s 250 Sport model and was produced in a quantity of just 31 examples through 1953. 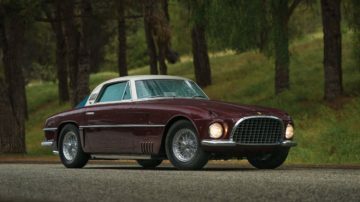 Eighteen of these cars wore influential new fastback coachwork by Pinin Farina, including the 1953 Ferrari 250 MM Berlinetta on offer, chassis no. 0344 MM, estimate $7,500,000 – $9,000,000. 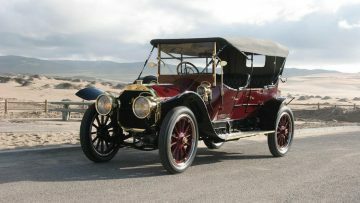 The 250 MM quickly became the favored model of the most illustrious privateer racers of its day, and this example boasts impressive period racing use as well as ownership by some of the most renowned names in the collector car hobby. Chassis no. 0344 MM was repainted in blue by its second owner, Mas-Olle Persson of Sweden, and displayed at the 1954 Swedish International Motor Show, before being entered in a slew of road and ice races across the country, most notably claiming 3rd in class at the 1954 Helsinki Grand Prix. The 250 MM eventually landed with Pierre Bardinon in 1972, whose Mas du Clos collection was at the time the most impressive assemblage of important Ferrari sports and racing cars in the world. Purchased by the current owner in 2010, the well-documented car has since been refinished in stunning midnight blue, cosmetically freshened, and has been shown few times since its arrival in the U.S.
One of the most modern Ferrari offerings set for RM Sotheby’s Monterey stage is a 2014 LaFerrari, estimate $3,000,000 – $4,000,000, a virtually as-new example of Ferrari’s iconic 21st century hybrid hypercar. 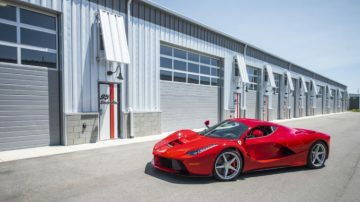 Offered from a prominent private collection, the LaFerrari is finished in traditional Rosso Corsa, eschewing the more common black-painted roof and mirrors—which match the remainder of the car’s paintwork and brake calipers—and fitted with Nero leather with contrasting red piping and stitched Cavallinos in the headrests. It is also equipped with an additional $4,965 in special-order options and shows only test mileage (less than 150) since delivery. 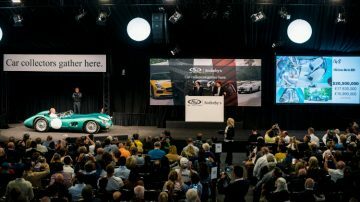 Making this example all the more special, proceeds from the sale of the car will benefit the College for Creative Studies in Detroit, Michigan, one of the nation’s premier arts education institutions, many of whose graduates find careers in the automotive industry. The very first time that all three cars to earn the GTO badge in Ferrari’s illustrious history will be offered for public sale, an opportunity unlikely to repeat itself. 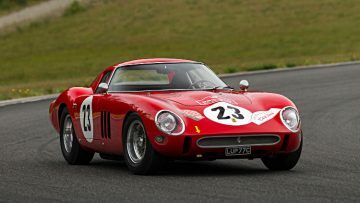 In addition to the 1962 Ferrari 250 GTO (chassis no. 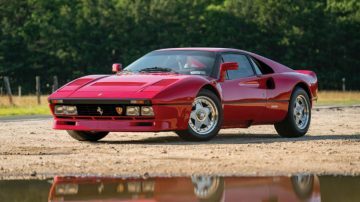 3413), RM Sotheby’s will present a 1984 Ferrari 288 GTO showing less than 13,200 actual kilometers (Est. $2,750,000 – $3,250,000), and a well-equipped 2011 Ferrari 599 GTO in striking Nero Daytona with Grigio Silverstone stripe (Est. $575,000 – $650,000). A 1954 Ferrari 375 America Coupe, chassis no. 0327 AL, a unique creation by coachbuilder Vignale and the 1954 Geneva Motor Show car. 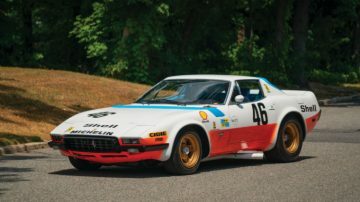 Sold new to legendary racing sponsor Robert Wilke of Leader Card fame, the 375 America has enjoyed long ownership history with noted enthusiasts. Finished in its original color scheme and equipped with its original engine, the 375 is one of just 12 ever built and the first example available publicly in seven years (Est. $3,500,000 – $5,000,000). A 1966 Ferrari 500 Superfast Series II, chassis no. 8459 SF, one of just 12 series II examples built and just eight equipped with right-hand drive. Originally delivered to British sportsman Jack Durlacher in the most desirable configuration with a five-speed transmission and front fender vents, the 500 Superfast is offered in Monterey with its original engine and finished in its original color scheme of Blu Chiaro over Naturale leather (Est. $1,750,000 – $2,000,000). A 1972 Ferrari 365 GTB/4 Spider Competizione, chassis no. 15965, the only Competizione-specification 365 GTB/4 built as a spider and showcased by designer Michelotti at the 1975 Geneva Motor Show. Entered in the 1975 24 Hours of Le Mans and the 1978 24 Hours of Daytona, the recognizable Spider has since competed multiple times at both the Tour Auto and Le Mans Classic and remains hugely eligible worldwide for both concours and historic racing events (Est. $2,300,000 – $3,500,000).